Expect Some Things. Earn others. In an attempt to make the school year memorable, it’s not uncommon for teachers to be exceedingly generous with, well…fun! This can backfire, however. As students await one fun celebration after another, they get more and more excited, which ultimately leads to behavioral issues. Decide which activities your students can expect and which activities they need to earn, then let them know and tell them exactly what they need to do as a group to earn them. Be sure to make the earned activities as fun as the expected ones and schedule them wisely. By doing this, your students are more likely to be mindful of their behavior during those last weeks. Continue or Revisit Class Meetings. Class meetings are as important at the end of the year as they are at the beginning. Communicate your expectations for behavior and effort each day. 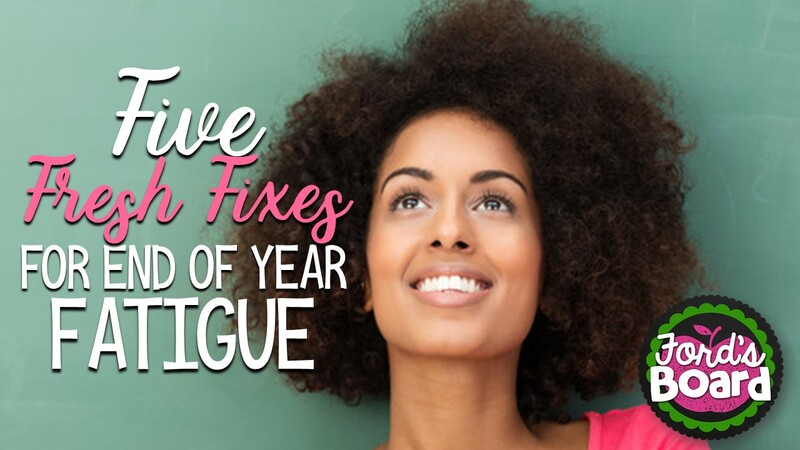 Also, be sure to plan discussion topics that address end of year situations. Class meetings at the end of the year are a reminder to students that they are a part of a community and their behavior affects everyone. It’s also a great opportunity for students to share their thoughts and feelings during this exciting time. Control the Countdown. Keep countdown activities structured and purposeful! 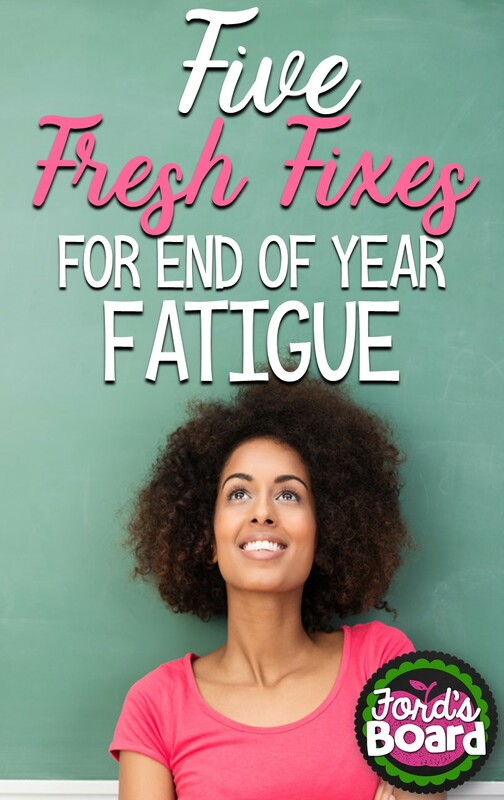 Simply making an end of the year countdown fun and exciting may cause your students to become increasingly energetic at times when they’re expected to focus on school work. Sprinkle in a Few Downtime Days. The end of the year doesn’t have to (or need to) be one big adrenaline rush after another. There are benefits to calm, enjoyable activities. Coloring is one example. It helps stimulate the brain and generates mindfulness in students of all ages. 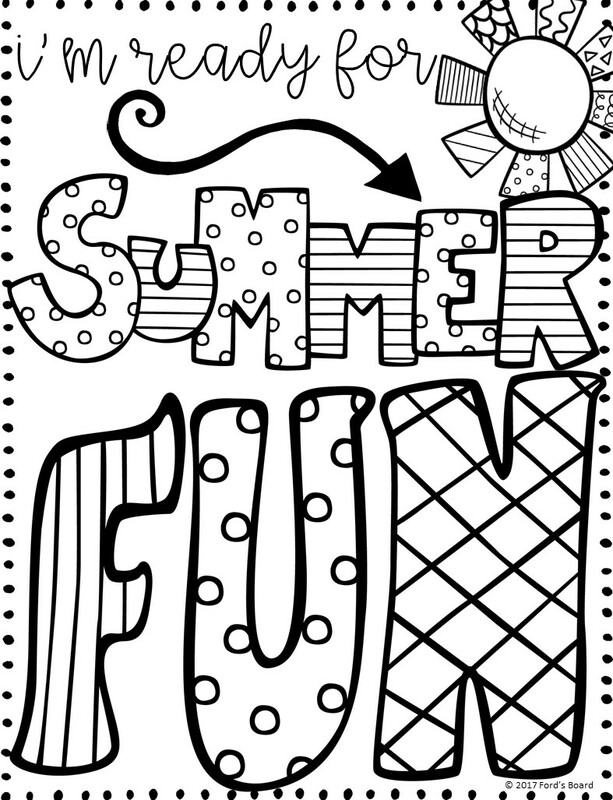 Download a free copy from my Summer Coloring Pages – 20 Fun, Creative Designs resource from Ford’s Board on Teachers Pay Teachers here: Free Summer Quote Coloring Page. This pages is great for your students – AND for you! 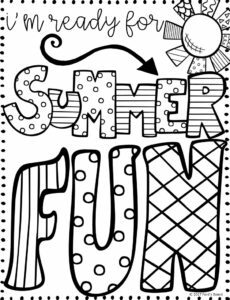 I hope it inspires happy thoughts of summer and reminds you of all the fun you’re about to have in a few weeks!